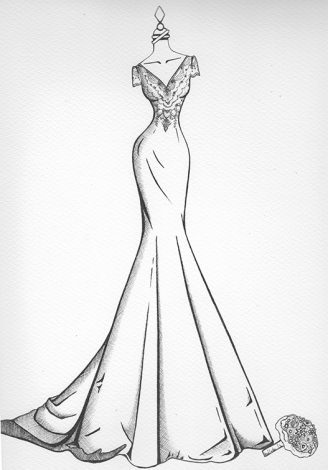 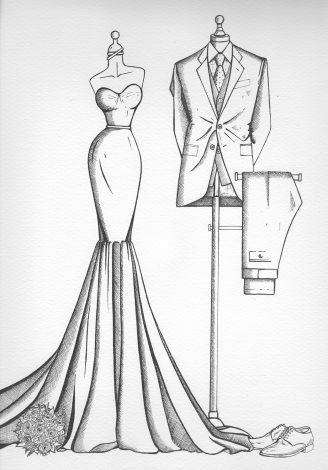 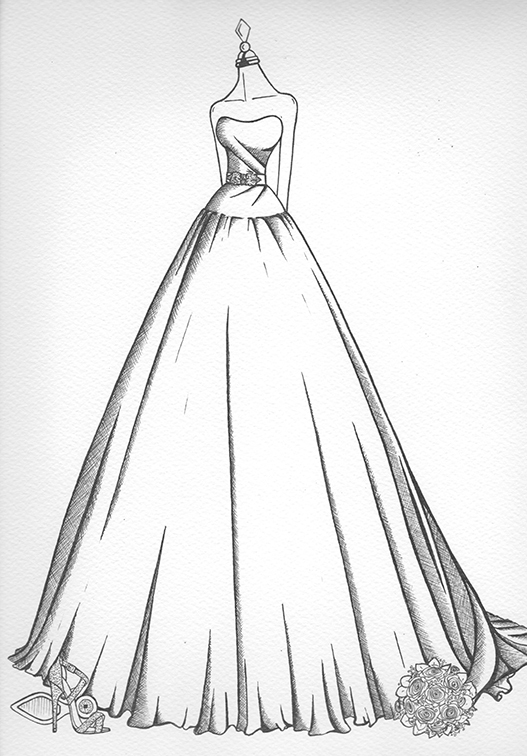 This custom wedding dress sketch is the perfect personalised gift for the girl who loved her wedding day style. It includes her bouquet and shoes, capturing every detail. 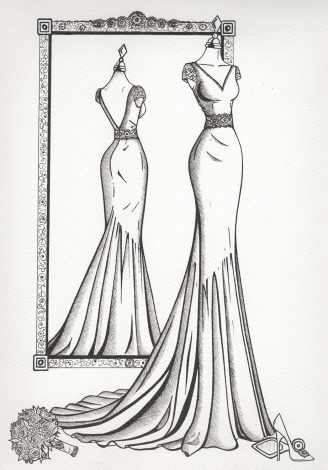 Created using fine nibbed drawing pens on artist quality watercolour paper. 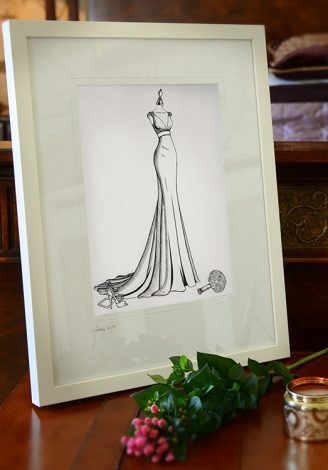 This memorable gift offers one view of the wedding dress, usually from the front or side, depending on the style of dress and photos supplied. 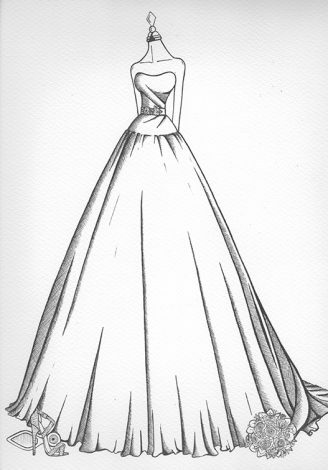 Given as a great 1st anniversary gift, wedding day surprise present, special birthday or Christmas gift, please allow 3-4 weeks, as each one is lovingly made to order. 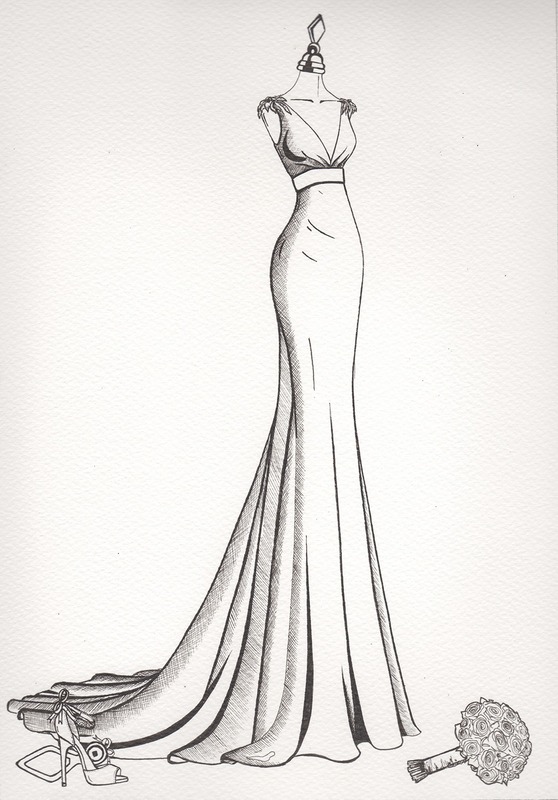 Please call Audrey if you wish to discuss a shorter deadline, she will be happy to help.